Last year I mentioned the massive commission that American ceramicist Molly Hatch has undertaken for the High Museum of Art. 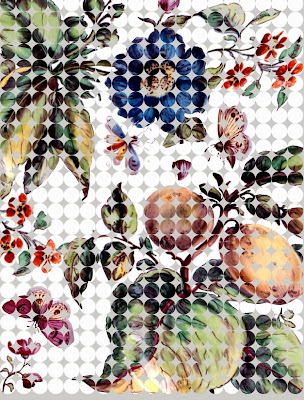 The piece, titled Physic Garden after London's famed Chelsea Physic Garden (the city's oldest botanical center and once a source of inspiration for porcelain decorators at nearby factories), will be Hatch's largest ever, measuring 22 feet high by 17 feet wide. The Museum is describing it as a plate painting, because the work will actually be comprised of 475 separate dinner plates fit together. And as pointed out earlier, Hatch is specifically riffing on two circa 1755 floral Chelsea Factory plates from the High's Frances and Emory Cocke Collection of English Ceramics. We don't have much longer to wait for the big reveal: her two-story work goes on view March 15 in the High’s Margaretta Taylor Lobby. Anxious Hatch fans can catch a sneak peek a few days before the general opening, though, and hear the ceramicist discuss the project too. She will be in town March 12, talking with the High's Curator of Decorative Arts and Design, Sarah Schleuning, at 7 p.m. Public tickets $15; students $5. 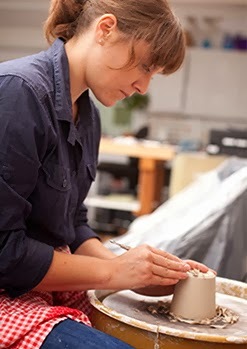 I'm a big fan of ceramic art and Molly Hatch is a great artist. Her works are very unique and creative! Thanks for sharing! Looking at her "proposal" it looks like a spectacular installation. Can't wait to hear / see / read more! Korean Treasures in the U.S.